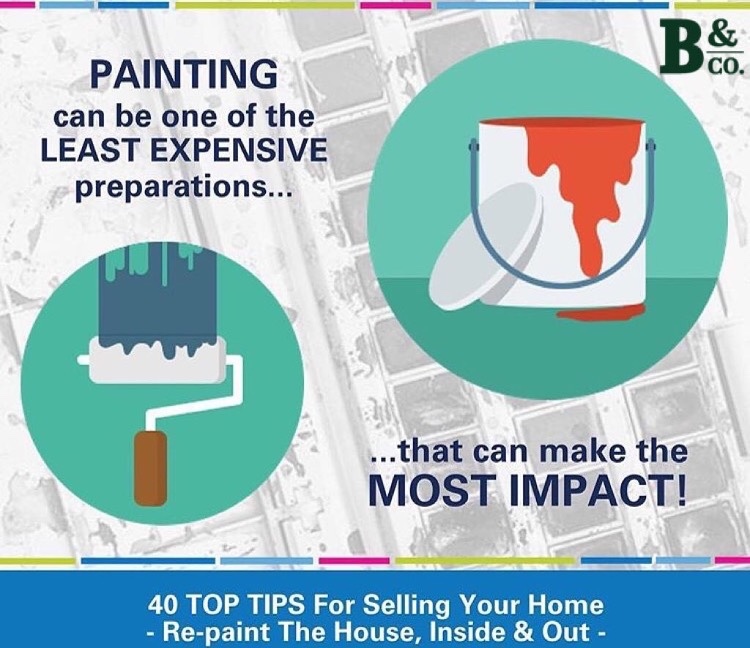 When you’re listing your home, there can be a ton of items and things you can do to improve your home to help it seller quicker and at a higher value. From updating your kitchen’s countertops to the bathroom tile to re-doing floors to fixing plumbing…all those things can add a ton of value to your home. On the other side of the coin those improvements can become costly. However, there are improvements you can make that don’t hit so hard in the wallet. One of the least expensive improvements you can make is painting! If you head over to Lowes or Home Depot you can all the painting supplies you need and not break the bank in the process. On Lowes.com there are over 250 paints in the $25-$50 range. A fresh paint job really can create a lasting impact on your home and can effectively change the feel of a room for the better!